Your collection supplies the interest, our curio magnifies the collection and brings light into play. 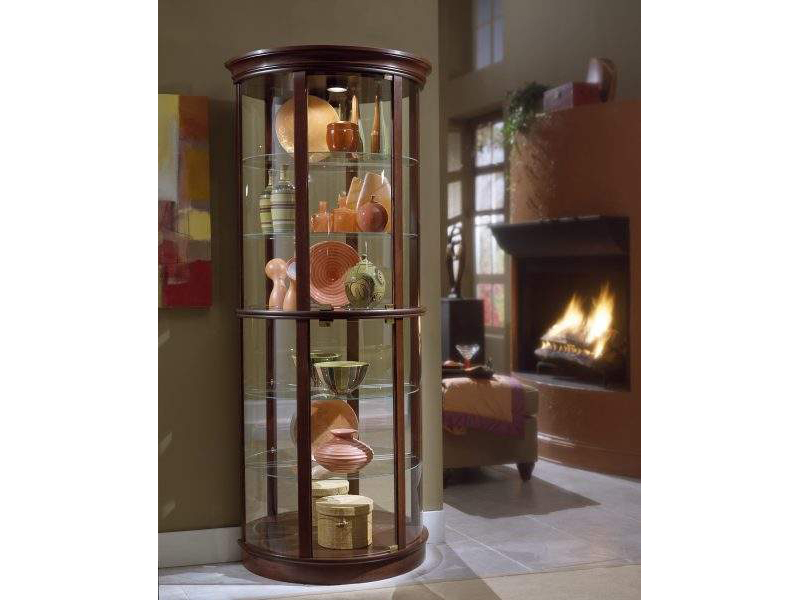 Our half round Curio has elegant lines and a glowing Preference finish that Work in both traditional and modern settings. The Curio features glass doors, a mirrored back, interior lighting, adjustable glass shelves, and adjustable glides for leveling.